October is unofficially Pinktober with Pink Ribbon Day falling on 24th October this year. Being a lover of all shades of pink, I would only too happy to get behind this cause for that reason alone but although I've been fortunate enough to not have family touched by breast cancer, I've had lymphoma cruelly take away a family member too early in their young life. This is why I have more of a vested interest to help the cause find a cure to these insidious diseases that take far too many people's lives prematurely each year. 1. 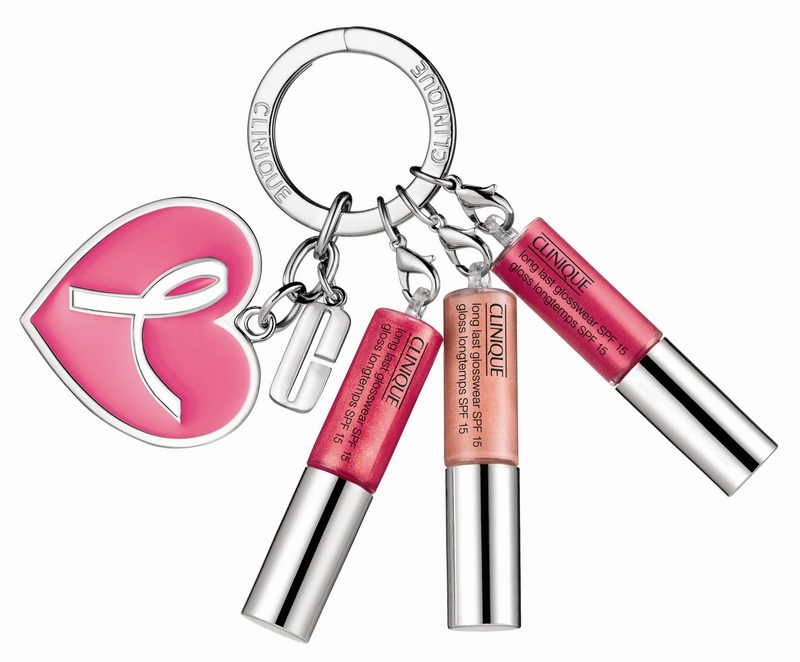 Clinique online exclusive from 2nd October - 3 Mini Long Last Lipgloss key chain A$35. A$5 from each item sold will be donated to the National Breast Cancer Foundation (NBCF). This is too adorable and I'll be adding it to my shopping cart next week. 2. 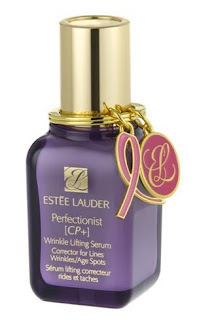 Estee Lauder Perfectionist CP+ Wrinkle Lifting Serum with a cute Pink Ribbon keychain 50ml - A$168. A$20 of each bottle sold is donated to the NBCF. High-speed wrinkle lifting serum and cute accessory - need I say more? Available Sunday 2nd October. 3. Dove Nourishing Body Wash A$6.99 at supermarkets. Dove is a platinum partner of the NBCF and aims to raise over $700,000 this year. Go Dove! 4. Bobbi Brown Pink Ribbon Collection Bellini High Shimmer Gloss and Pink Lip colour duo A$86. An online exclusive from Sunday 2nd October, a whopping $40 from each set sold is donated to the NBCF. You will look pretty powerful with this pretty combo! 5. OPI Pink Ribbon limited edition Pink Shatter Nail Lacquer A$19.95. I love shattering polish and in this bright warm pink, it will shatter my heart if I don't own one. 100% of profits donated to NBCF to raise $25,000. Now that is generous! Available at David Jones stores nationally now. 6. Aveda Hand Relief A$44.95 for supple soft hands and a good cause from participating salons and Aveda Experience Centres. 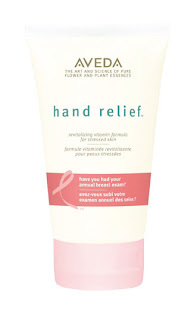 US$4 donated to cruelty free research arm of NBCF. No lab rats here! 7. 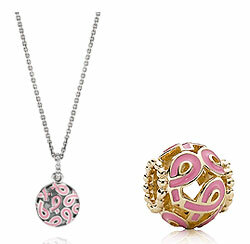 Pandora limited edition Pink Ribbon Silver Necklace A$179 or Gold Charm A$329. We can never have enough bling in our lives so bring on this Pink Ribbon edition! 15% of the sale price will go to NBCF. Visit http://www.pandora.net/ for your nearest stocklist. If you want to donate directly to the National Breast Cancer Foundation, please visit them online here. Don't forget to proudly wear your pink ribbon! It's really great to see that so many brands are involved! It's such a great contribution and I really like all the little bits and pieces pictured! A really great round up there! Like the way you've told us a bit more about them too, makes a list more interesting:) Tempted to get the Pandora pendant but more likely to get the Pink Shatter, and maybe the Dove and Bobbi Brown things too. Haha! Yep I mentioned most of these brands on my blog about it too! and a few more! I really want the pink shatter. Aww this is such a cute collection! It's so nice to see that so many brands are contributing! I love all the pink that comes out in October, such a great cause and everything looks so cute! It was nice to meet you at ABBW! I like your blog and I LOVE this post because I am a sucker for Pink Ribbon Month and always post an article on the cause each year. I noticed you are promoting a few comps on your side tab... if you ever want to pop a few extras on there feel free to promote any on my blog. Alice, Megan - thanks girlies. We ladies need to do more to promote its awareness and it's fantastic to see more and more great line ups of companies supporting the cause every year! Hey Tammerly, so good to finally meet you in the flesh at ABBW as well. You currently have a comp running? better check it out and start entering then hehe :) Thanks for the heads up!